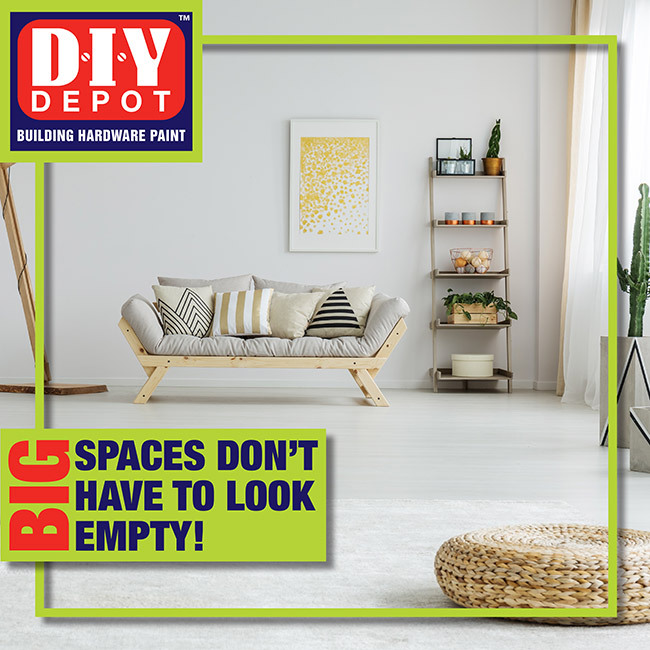 Big spaces don’t have to look empty, with these easy tips you can make any space look cozier than it really is. User darker colours on the floors and walls. Light colours expand a space and make it look stretched out, whereas dark colours make a room look cozier by absorbing all the light. It’s also a good idea to use pot plants to your advantage. Strategically place the pot plants so that it fills vertical height. Paint two-toned walls around the house. This gives the illusion that a room is smaller and cozier. Add softness in the lounge areas by avoiding coffee tables and use ottomans instead. This way there aren’t huge open spaces between you and your company. Use vertical lines wherever you can – this will take away the depth and width. Use a variant of textures to take up space; don’t leave too many empty gaps. Divide your space up. Even if it’s open plan, use different elements to separate “rooms”. Use these easy tips to help you create a cozier space – it works wonders to avoid a room from becoming ghostly.